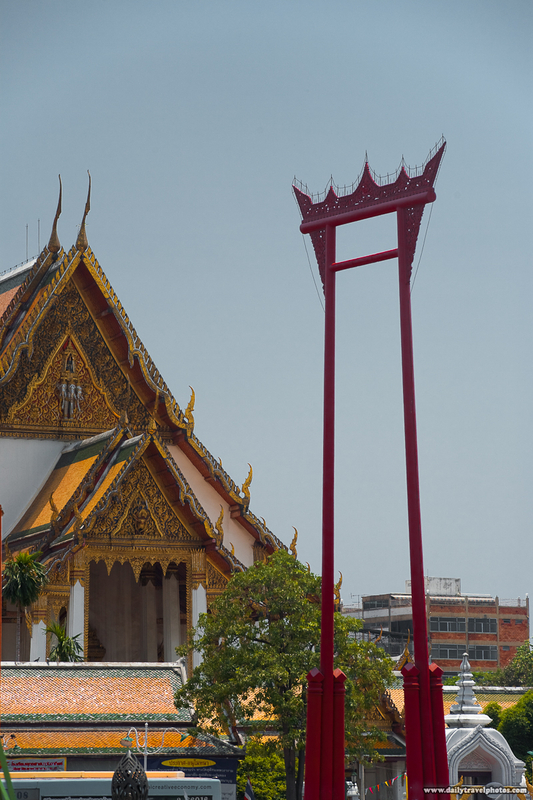 Wat Suthat (Temple) and the ceremonial "Giant Swing" near Bangkok's City Hall. For years, I knew about the Giant Swing as a tourist attraction but neglected to take a closer look until just a few days ago. Turns out, the Giant Swing was used for centuries for religious purposes until some fatalities forced the stoppage of the ancient ceremonies in the mid-1900's. I'm still a little fuzzy on what exactly the swinging portion of the ceremony entailed but I'll leave it to your imagination upon reading Wikipedia's description: In the ceremony Brahmins swing, trying to grab a bag of coins placed on one of the pillars.